Lava. Earthquakes. Carbon dioxide. Sulfur dioxide. Laze. Since the floor beneath the lava lake at the summit of Hawaii’s Kilauea volcano collapsed on April 30, we’ve been immersed in headlines, photos and videos of earthquakes and volcanic eruptions. One month later, the world remains mesmerized by the somehow-beautiful, yet truly destructive, force of the volcano as lava creeps forward – destroying land, vegetation and homes in its path. Residents, businesses and first responders are scrambling to save what they can before getting out of the way. The experts say we’re not done yet. Bigger earthquakes and eruptions are likely still ahead. For those organizations with operations and employees in Kilauea’s path, we send you fervent wishes that you, your employees and your operations are safe and secure. For the rest of us, the eruption is an important reminder to review and update our business continuity plans. How would your organization respond if a group of employees were suddenly unable to work? Here are four lessons from Kilauea to better plan before your next disaster. Business disruptions come in many forms. Natural disasters. Epidemics and pandemics. Civil unrest. Labor strikes. War. Economic collapse. Each threat brings its own set of challenges and required resources to survive and recover from the disaster. For most natural disasters such as hurricanes, floods and tornadoes, the Response phase is over in a matter of hours or days; it’s Recovery that can take months. In Hawaii, we’ve had a month-long Response to Kilauea – and we’re not done yet. Be sure your business continuity plan anticipates a variety of disaster types that may last for hours, days, weeks or more. Kilauea has been called a “triple whammy” disaster, with earthquakes, fissures spewing lava and noxious fumes, each presenting separate threats. It has also created multiple threats to businesses and government organizations. Direct Impact: One local geothermal power plant was in the direct path of a lava flow and had to be shut down entirely. Several local nurseries were wiped out by lava, potentially sparking a flower shortage in the state. For state and local first responder organizations, the Response and Recovery effort means that employees are working longer hours in hazardous conditions. Indirect Impact: Despite statements from Hawaii’s governor that the island is “open for business,” the eruption has definitely negatively impacted tourism on the Big Island as vacationers make alternative plans. A dip in business threatens hospitality jobs, even though most employees are outside the lava path. Employee Residents: Multiple homes have been destroyed by the volcano and hundreds more residents have been evacuated from their homes to escape the lava creep and fumes. Many resident employees have had to leave work unexpectedly to retrieve possessions from their homes before evacuating. Being displaced is likely impacting their ability to get to work or focus on work when they arrive. Although less than one percent of the island’s area is directly affected by the volcano, the disruptive effect is much larger. 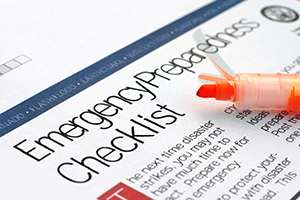 A strong business continuity plan outlines what to do if the organization or its employees are directly – or indirectly – affected by a disaster. Most employers have good information about their employees’ home location. Some are good about tracking employee business travel, expat assignments and commissions to customer sites as well, so they generally know where those employees are on any business day. In Hawaii, there are numerous employees who are unavailable or under-available (displaced workers) to perform their work. For employers facing a protracted period when multiple workers are unavailable, it’s important to know where they have employees with the right skills to step in. 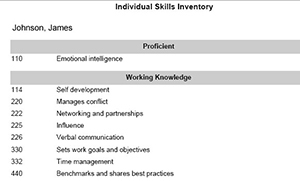 Ideally, employers have individual skill inventories for each employee, so they know what skills are missing when the employees are unavailable to work. Inventories will alsohelp employers identify others who have the right skills to step in. Technologies such as Avilar’s WebMentor Skills™ provide a way to digitally catalog employee skills, quickly analyze losses and identify the most qualified internal candidates for vacated positions. In your business continuity plan, include your skills tracking technology as a resource to support your organization during the Response and Recovery phases of a disaster. This lesson isn’t specific to Kilauea. In any disaster, safety is top priority. It’s true that the underlying premise of any business continuity plan is to strive to continue serving customers, even when there are threats or disruptions to a business. If continuity isn’t possible, then such plans are designed to help to minimize an outage. That said, employee safety and security is integral to an effective plan. In Kilauea, the media and official government agencies continue to share information about what’s happening now and how to stay safe during a volcano eruption. By listening to first responders and authorized spokespersons, residents and businesses can understand what they need to do next. Every business continuity plan should include actionable response plans that identify authoritative sources of information and assistance. Include, too, your company policies and procedures for supporting employees affected by a disaster. Our blog from Hurricane Harvey, outlines some decisions your organization will want to make before your next disaster. Plan now for the unexpected. Looking for best practices? 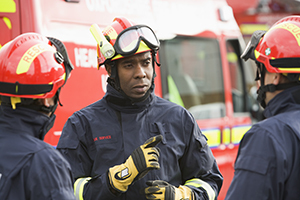 Read our new white paper, Before Disaster Strikes: Building Your Crisis Management Plan from Your Skills Inventory. Or contact us to explore whether we may be able to help.